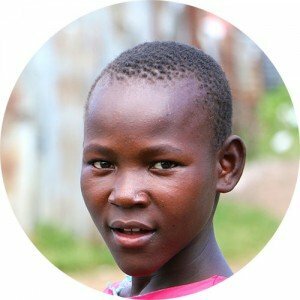 Just One Africa’s mission is to partner with local leaders to create sustainable solutions for orphans and vulnerable children and the clean water crisis. Our vision is to inspire the individual to effect change, resulting in thriving communities with access to clean water and capable of providing for their basic needs. With our Clean Water Programs, we continue to rely upon our local partners to educate us regarding the urgent needs within their local communities, as well as their surrounding areas. It is through those partnerships that we realize the greatest impact of the distributions by those who need them the most. We incorporate strategic training known as Water, Sanitation and Hygiene Education (WASH) with the water filter distributions and this important adjunct makes our Clean Water Program extremely effective. Just One Africa has seen a 180 degree turnaround in water-borne diseases. This allows parents to work and provide for their families and ensures that children have the opportunity to go to school. 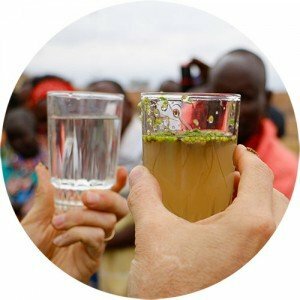 We will continue to raise awareness, as well as the funds needed to bring sustainable solutions to those affected by the ever-present, very real, clean water crisis. No matter how big the challenge, we have witnessed the impact when an individual chooses to make a difference…Just One person at a time. The long-term strategic goal of Just One Africa is to empower local leaders who care for vulnerable children within their community with sustainable solutions. These solutions provide long-term access to clean and safe water, quality education, life skills training, adequate safe housing, and more efficient agricultural methods. These continuing viable solutions will reduce the reliance on outside sources of funding and furnish them with the means and ability to provide for themselves, as well as those they care for. We strongly believe in sustainable solutions for long-term impact. It is paramount to work closely with our local leaders by investing in who they are and also building deep relationships with them based on trust and respect. We take a great deal of time to listen and ask questions to determine what they desire to see happen in their communities. It is from that input that we move forward creating sustainable solutions that will be managed, constructed, and maintained locally. Watch this video on how our Clean Water program impacted one community. Shop our online store to find fair trade African handmade jewelry. 100% of your purchases fund our clean water and sustainability projects in Kenya. Just One Africa has seen tremendous growth in the past few years enabling us to see our mission become a reality in many new ways.